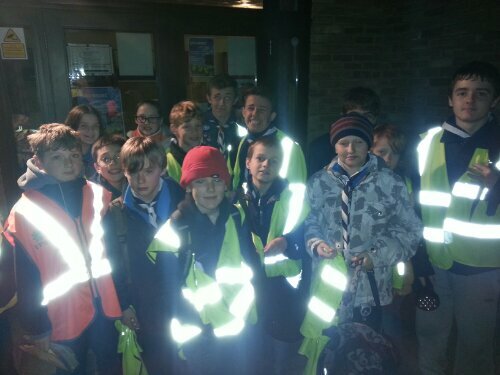 Our scouts completed a night hike around Godden Green and Ightham Mote last night. They all did really well – each taking a turn guiding their groups and ticked off a chunk of their Outdoor Challenges. After a hot chocolate back at the hut, you have never seen scouts go to sleep so quickly! The weather really helped, as despite all the recent rain most of the route was solid underfoot.